Kate grew up on a farm outside of Preeceville, Saskatchewan, where her appreciation for nature first began. From a very young age she spent her free time in the outdoors, exploring forests, wetlands, rivers and lakes which contributed to her interests in ecology, conservation and restoration. Kate graduated with an honours degree in Environmental Biology in 2015 from the University of Saskatchewan. During her undergraduate degree she spent her summers working for the Water Security Agency, mainly sampling fish and benthic invertebrates. Although already interested in fish, this spurred her appreciation for aquatic invertebrates and her involvement with Troutreach. For her undergraduate thesis she used stable isotopes to interpret lake food webs and the potential effects from invasive crayfish. Kate is in the process of publishing her most recent research which focuses on the movement of mercury (Hg) through food webs in aquatic ecosystems and the potential for invasive crayfish to alter contaminant transport to predatory fish. 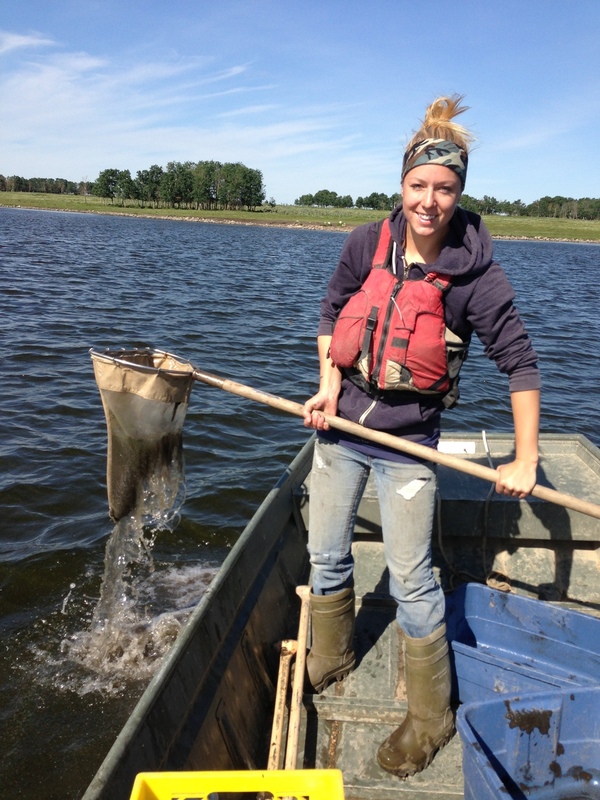 During her degree, Kate became interested in assessing health of aquatic habitats and bioassessment and she is currently working towards a master’s degree in Aquatic Toxicology, focusing on developing a fish-based index of biotic integrity (IBI) for northern Saskatchewan. When not studying, Kate enjoys photography, kayaking, and archery, as well as many other sports and of course, the great outdoors.